The perfect accessory to any Apex Controller System. 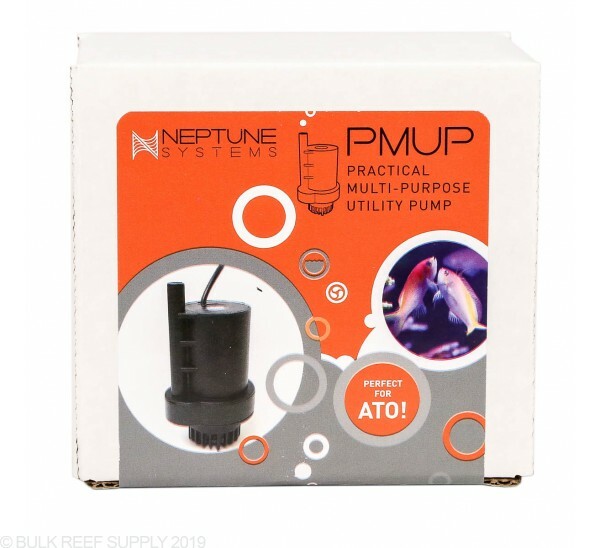 The Neptune PMUP (Practical Multi-Purpose Utility Pump) is great for providing water to feed carbon reactors, and most importantly it can be used as a top off pump. With either the EnergyBar832 or the 1Link Flow Control Module, you can provide power and control directly to the pump without consuming any additional outlets or bulky power supplies. Note: 1Link Flow Control Module or EnergyBar832 required for use. 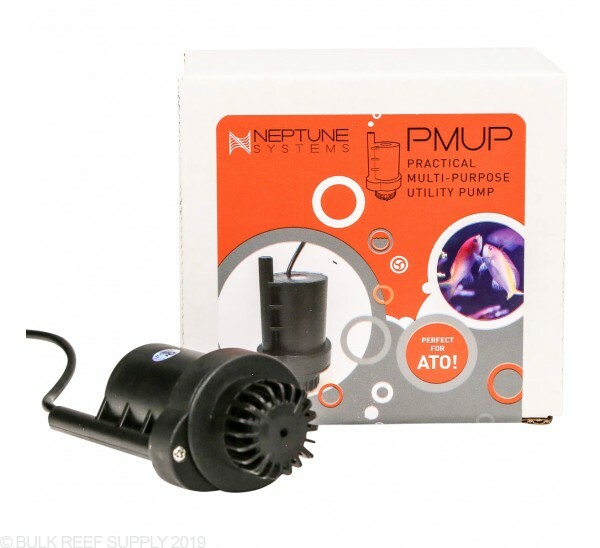 Neptune has created a marvelous little (but powerful) pump that now gives your Apex Controller even more options. 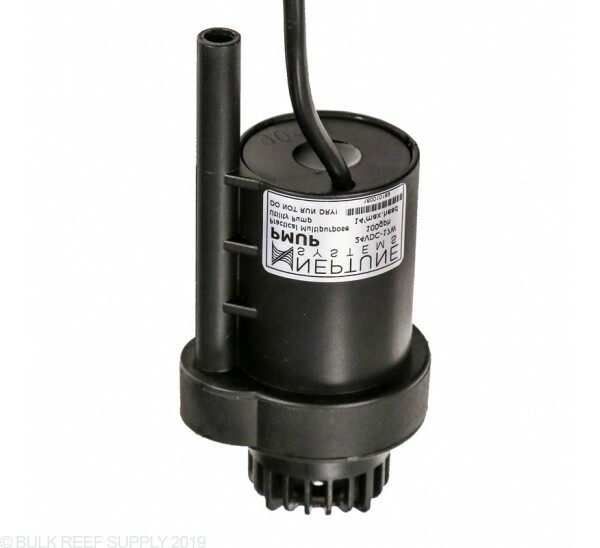 Easily fitting in most common ATO reservoirs, and having a head height of over 12 feet means that it can even pump water up a full story in most common households. Connecting the PMUP to the 1Link module or EnergyBar832 gives you full on/off switchable control just like any other outlet. The PMUP connects through a 24V connection that comes prewired to the pump and will directly connect to the 24V accessory ports on the 1Link modules or EB832. Plumbing to the pump is easier than ever with its 3/8" output you can connect any 3/8" ID tubing or you connect to common calcium, carbon, and GFO reactor tubing with the use of push connect unions or reducing push connect unions. Purchased the auto top off kit and this pume is a useless. Make a tone of noise and barely bubbles any water out of the output. I can only assume it is cavitating the water and or impeller is poorly implement. 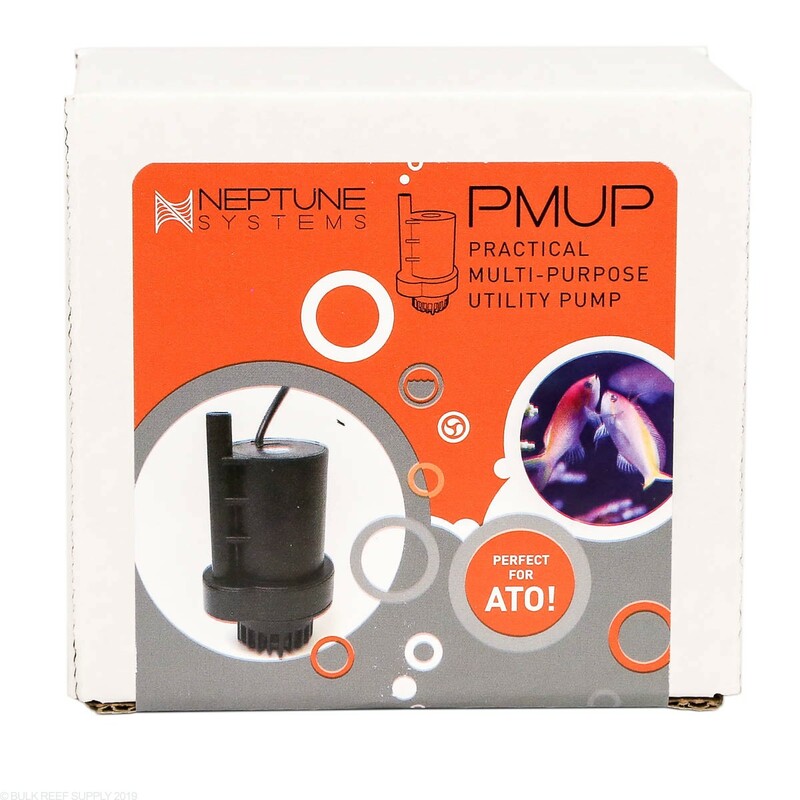 For something so critical in maintaining steady parameters in your system, Neptune has chosen the way of cheap! These pumps are garbage and don't last. Better off having the ATK trigger an old maxijet pump. I've purchased 3 of these pumps and 2 have quit in only months of use. BRS sent me a replacement that quit working in 24hrs! This pump only last for a short time, due to the cheap magnet. Also the impeller blades tend to break off really easy. I’ve had cheaper pumps deliver more and last longer. It’s hard to believe Neptune makes this. It’s a really cheaply made product for a high price. DON’T waste your money on this throw away pump!!! After I burned up my first pump (my fault because I let my reserve tank run dry) I replaced it with this pump. Works great and performs as expected ! Completely a waste of money . PMUP is not durable 2 burned in 3 months. $11 dollars pump lasted a lot longer than this. PMUP over heats quickly and seized impeller . I bought two of these, both of which have seized and stopped working. 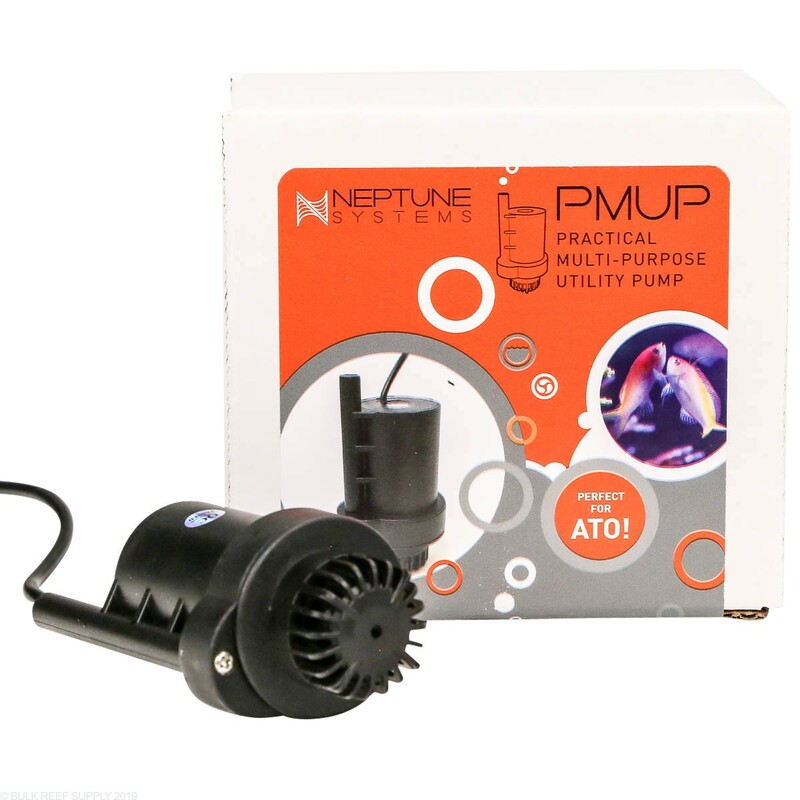 It’s too bad, I’m a big fan of Neptune products overall. bought this as spare to my other PMUP. The first one works really well and has nice pressure. The water pumps out about 5ft above the pump and there is no issue with it getting the water out. easy to program on the Apex Fusion. works great which is why this is now my back-up pump. sweet litle pump. I use it for auto-water-change. It is not that noisy like previous reviewer said - so long as you do not have it sit right on the bottom or touch the glass. put it on a piece of foam and your good to go. It works fine and pumps well but is the loudest item in my setup. It is louder than my fans, skimmer, and return pump combined. I considered using another to power a reactor but I wouldn't be able to take the noise. 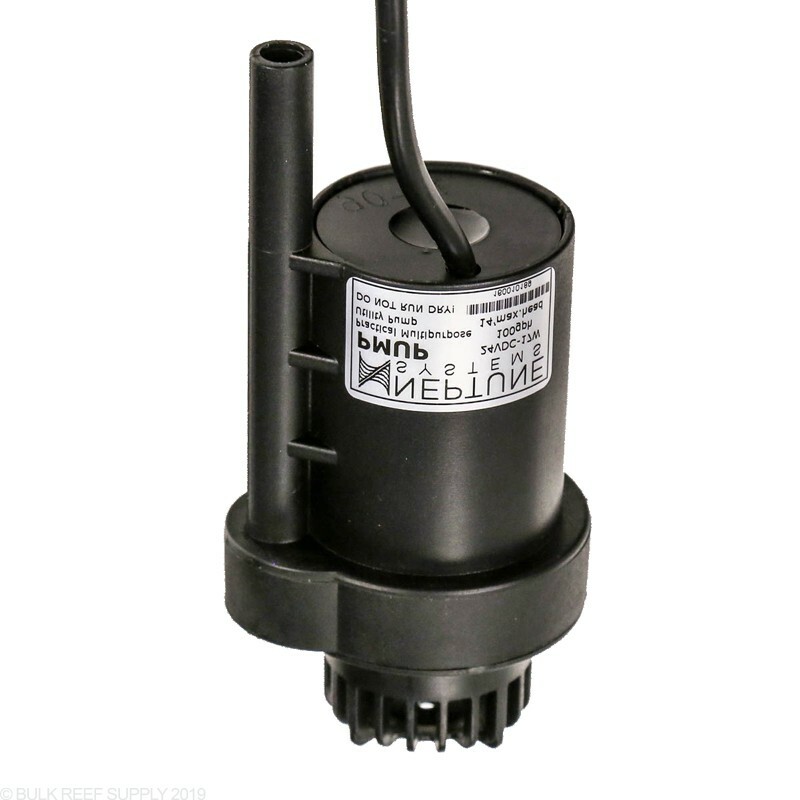 Maybe I have a faulty unit, but Neptune should have made a D/C pump quieter. I got this a while ago and the first one never worked. Contacted BRS and they sent me a new one. plugged it in and it worked like a charm. Awesome customer support the pump is quiet and works well. I just need to find a way to secure it to the tank better because it does get loud when it is directly on the glass which is expected. Super powerful little thing. when they say plug and play they mean it. I have a BRS dual reactor with the silcone tubing kit. 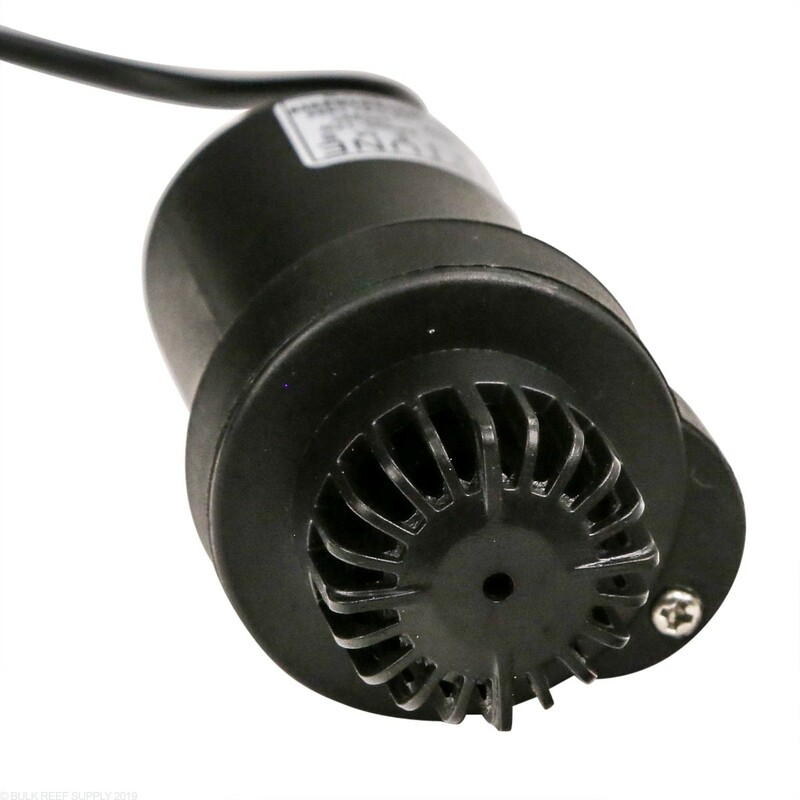 What parts do I need to purchase to connect the pump to the intake hose? 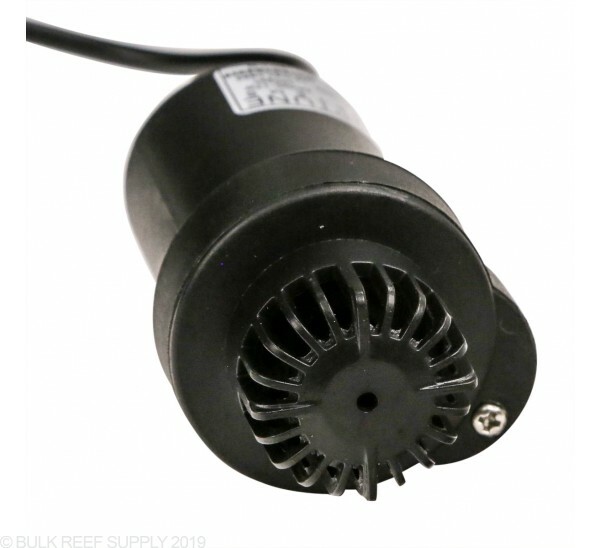 While this pump is versatile enough to fill a number of roles, it's not quite powerful enough to tumble media in the BRS reactors and we don't currently recommend it for this purpose. I have a DOS, will the 1link port on the DOS power this up and provide connection? The 1 link port on the DOS is input only, it cannot be used to power or control other modules. If you have any other questions, let us know! Here we go , will this work on the Classic Apex? or is this for the newer Apex only? Is there a way to make this work with the previous model of Apex? Thanks. You certainly can, you will need a 1link module to connect this pump to the previous generation apex. The cord on this pump is 6 feet? That is correct. The cord from the pump to the 1Link/24v power supply plug is 6 feet. This can be plugged into a 1Link Module with a power supply, or directly into one of the ports on the EB832 power bar.